With the upcoming release of Uncharted 4: A Thief's End for PS4 a little way off (2016), developer Naughty Dog is providing an early taste of sorts. It was officially revealed today on the Playstation Blog that all 3 of the Uncharted single-player campaign games have been remastered and are being released in one collection. If you've played the Uncharted games before then you know how remastering them in HD at 60fps will be a real treat. If you've never played Uncharted and have moved to PS4 then this will be a must-have for your system. For many, Uncharted was one of those defining game series for the PS3 console with each iteration getting subsequently more amazing. While the multiplayer component is absent for these games in this edition, the collection will include access to the Uncharted 4 multiplayer beta when it comes out. According to Arne Meyer of Naughty Dog, the company has been working with Bluepoint Games to make this remastering possible. It could be said that The remastering of this franchise could be as important to PS4 as Halo: The Master Chief Collection was/is to the Xbox One. With such a beloved series it's only natural that fans might be worried that remastering Uncharted for PS4 might have its own problems. Only time will tell but Bluepont Games is a company that has had a lot of expertise in creating remastered versions of other games. The company uses their own proprietary game engine; The Bluepoint Engine (BPE). BPE was developed to be a flexible game engine to work on different gaming platforms which makes it ideal for porting titles to other systems and remastering existing titles. BPE has been used quite successfully to drive several notable games in the past such as: TitanFall (Xbox 360 version), Metal Gear Solid HD Collection (PS3), ICO & Shadow of the Colossus Collection (PS3) and The God of War Collection HD (PS3). Making the transition to PS4 to take advantage of the powerful graphics and processing should be that much smoother because of their credentials. 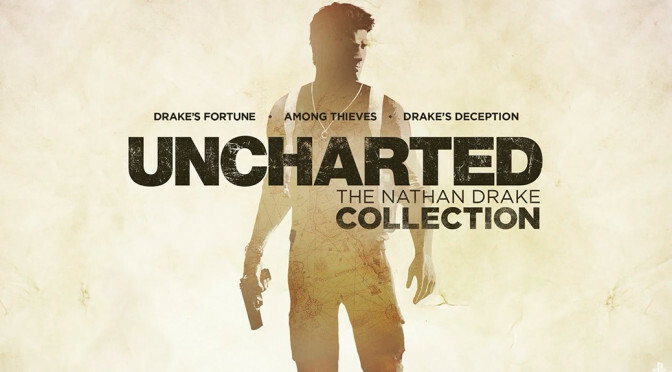 Uncharted: The Nathan Drake Collection releases on October 9, 2015 but the game can be pre-ordered starting today.